If food could be considered a love language, cheese would be mine. If I’m rushed in the morning, what do I grab to eat for an on-the-go breakfast? Cheese. It’s time to make dinner, but I’m hungry. I forage in the fridge and emerge with what? Cheese. When my husband wants to surprise me with a date-night in, what is one of the things he brings home? 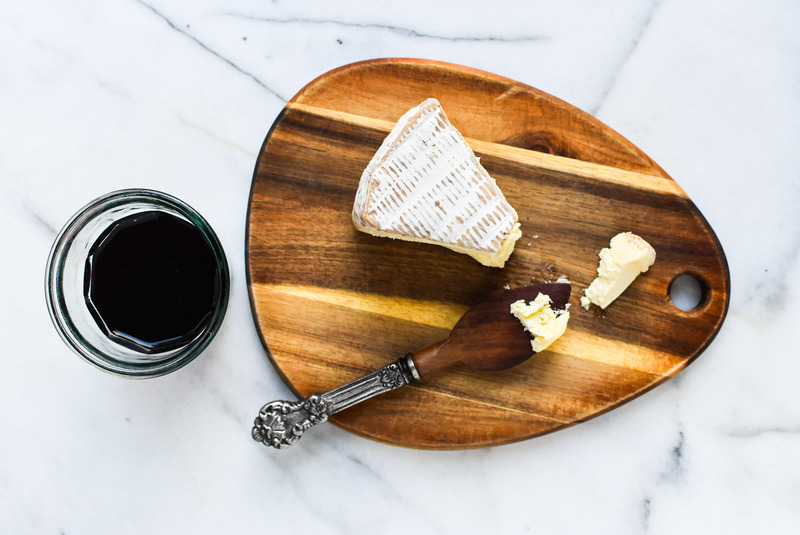 Cheese (and wine, of course!). So when I was given an opportunity to develop a recipe for The Dallas Morning News about the 1970s, the first recipe on my list was the cheesiest thing possible. Fondue. 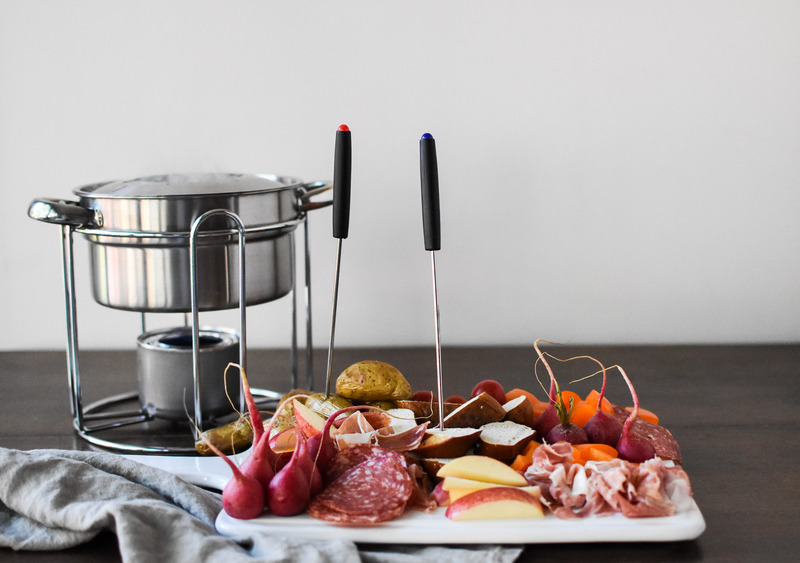 Delicious, melty, salty (but not too salty) fondue. Then add some potatoes, cured meats and bread; that’s my kind of food heaven. Developing recipes can be a tricky task at times, especially if the recipe in development is slightly out of your wheelhouse. Fondue was legendary in my mind, a way to consume cheese with multiple vessels. I was slightly intimated by it because…how DO you make fondue? First you need a fondue set. Thankfully, my grandmother gifted me one when I got married. In her wisdom and foresight she knew I would one day need a way to melt cheese. Next, you need sterno to heat the pot. 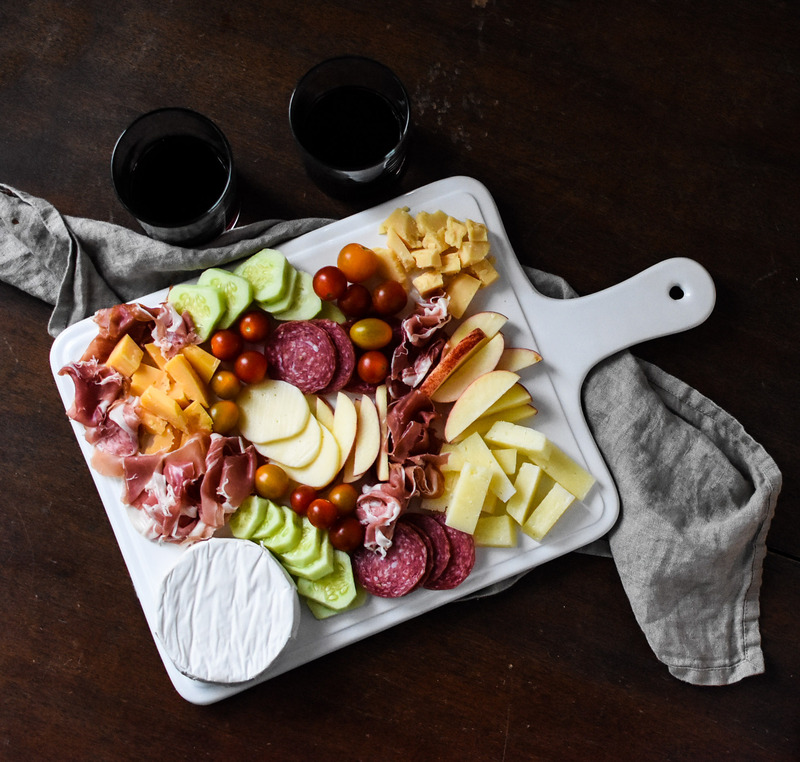 Then there’s cheese, garlic, wine, herbs and the cheese vessels– breads, meats, and vegetables. When I arrived at Market Street to choose the star of the fondue I couldn’t make up my mind. The cheese selection was immense. It not only ranged from gourmet to basic, but it was also nicely arranged in categories: soft, semi-soft, hard. Then I turn around and there was even MORE cheese to choose from in another cold case. Market Street spoke my love language and my heart was full. I went with a traditional blend of swiss cheeses (Swiss and Gruyere), so I wanted the dipping accessories to be a little less tradional. Luckily the bakery was a stone’s throw away from the cheese. I meander over and spoke with the baker behind the counter. 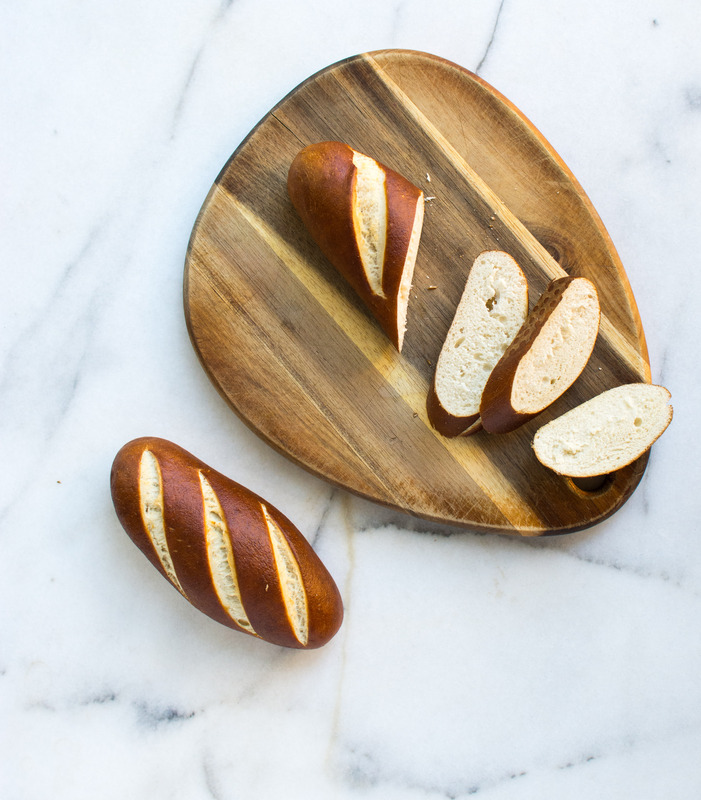 We talked shop and after a few samples of the fresh baked bread I went with the one that tasted like a pretzel. I scooped up a bundle of adorable (and delicious!) pretzel sticks and felt satisfied. 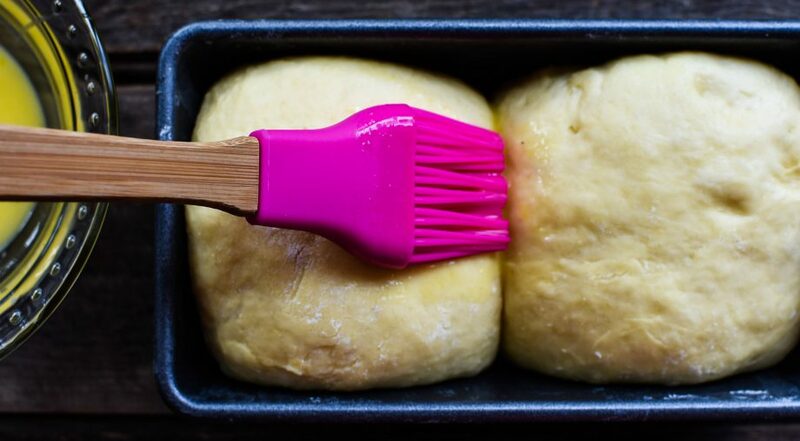 These babies will give the meal a unique twist to the traditional baguette used with fondue. Four recipe tests later, the fondue recipe was wrapped up. I finalized the recipe with a group of sweet girlfriends. 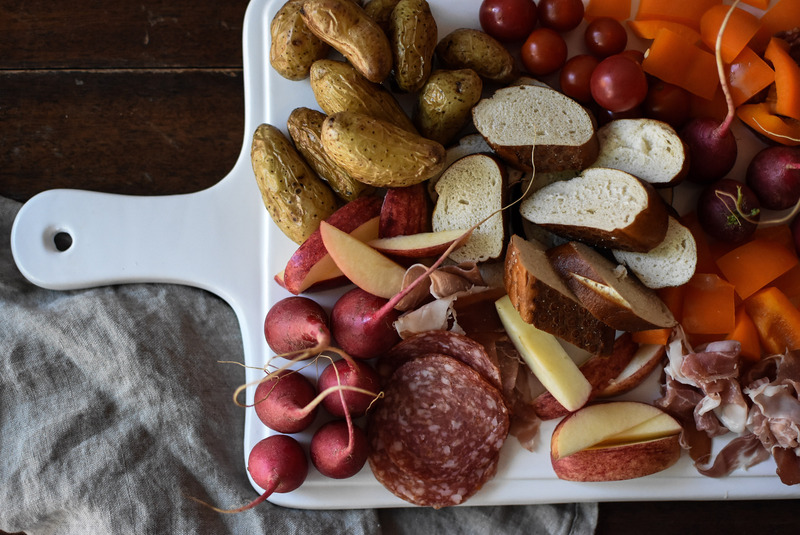 Roasted fingerling potatoes, prosciutto and salami, bell peppers, cherry tomatoes, apples, pretzel bread was served to them with my favorite food star. Cheese. That night we laughed, talked, drank wine and dipped to our hearts’ content in gooey delicious fondue. I hope their love tank was filled that night too. Now I am on a mission to fill more cheese love tanks. This time it’s with my kids, and I know the perfect night to do this. Halloween. I plan to pair the sugary goodness of Halloween with the gooey goodness of fondue. Sweet and salty, the perfect combination and the perfect night to start a new tradition. Disclosure: This is a sponsored post on behalf of Market Street. All opinions are my own and I appreciate your support of the brands/companies that I love. Author note: This recipe can be halved. However, use 3/4 teaspoon of kosher salt. Serve with a variety of meats, vegetables and bread. 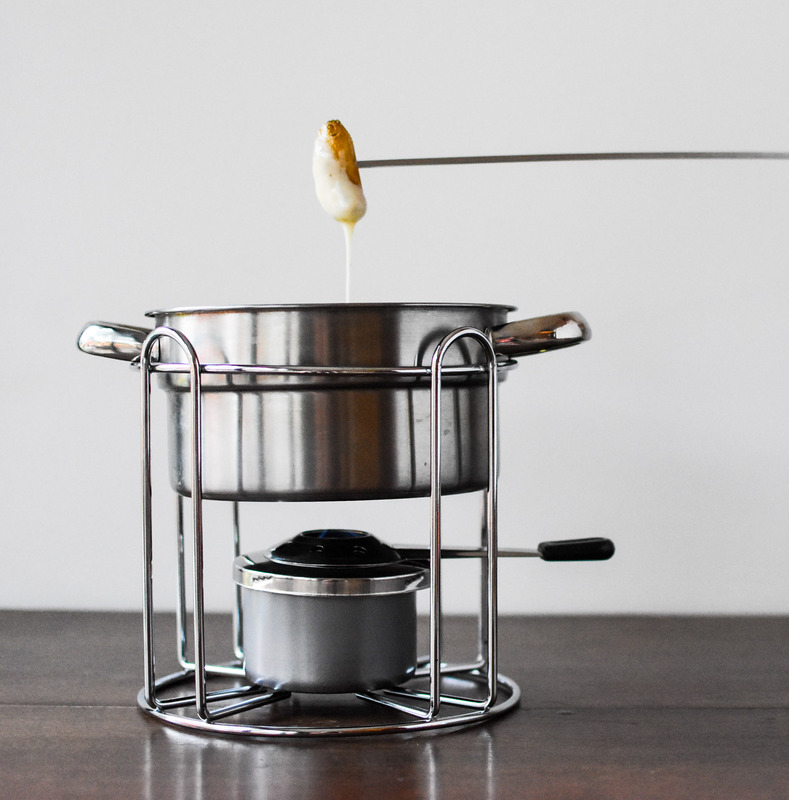 I prefer to make my fondue in a saucepan and then transfer to the fondue pot. Cook according to your preference. Tie the herbs into a bundle with kitchen twine. Place the cornstarch into a small bowl and top with cognac. Stir to dissolve. Rub the halved garlic inside a saucepan (or fondue bowl) covering the bottom and sides. In the saucepan (or fondue bowl), over medium heat, bring the wine, lemon juice and herbs to boil. Remove the herbs. Take 1 tablespoon of the wine mixture and add to the cornstarch and cognac. Stir to incorporate. Pour cognac mixture back into the saucepan. Reduce the heat to medium low. In small batches, add the cheese to the wine mixture. Stirring frequently to prevent burning. Continue to add the cheese until all is melted. Add the salt. 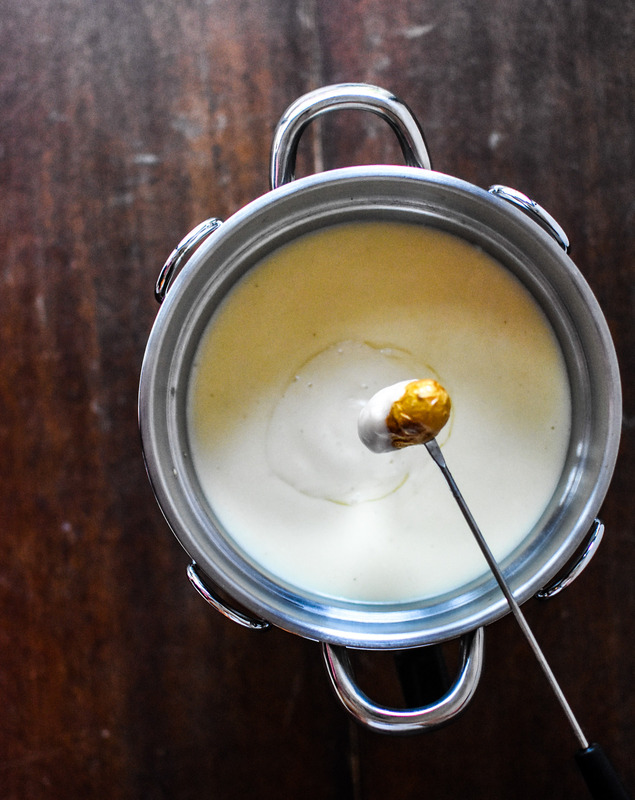 Pour the cheese fondue into the fondue bowl, set over heat and serve immediately.